Let us suppose CCBoot Server has two network card (IP is 192.168.1.200 and 192.168.1.201). We can make use of both NIC to boot the client and balance the load on both NIC hence clients performance is increased. 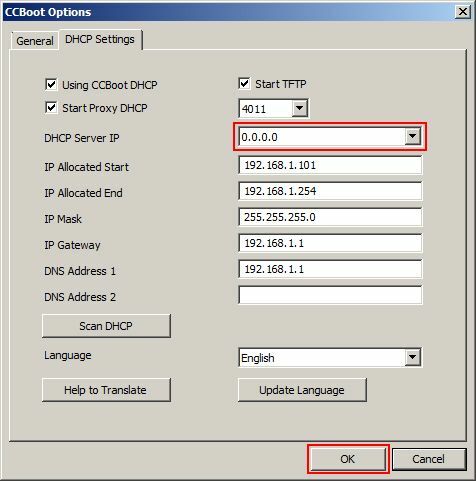 1) Choose "DHCP Settings" tab in dialog box of "CCBoot Options", and choose "0.0.0.0"in combo box of "DHCP Server IP", then click "OK" button. 2) Right-click "Client Manager" node on CCBoot main interface, then choose "Auto Allocate Boot Server". 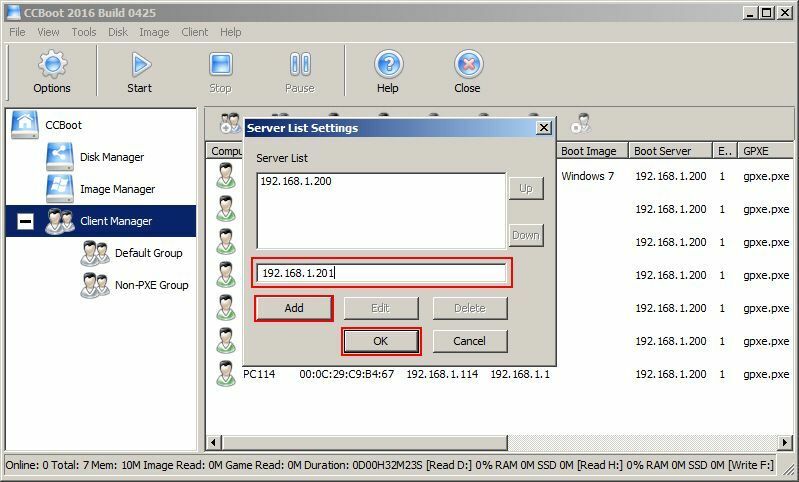 3) In popup dialog box of "Server List Settings", enter IP address for first network card of server, then click "Add" button, and then enter IP address for second network card, click "Add" button, and click "OK" button at last. 4) Now, look in the client manager, you will see each client has not two boot server IPs separated by ‘;’ (See Figure 11-4). 2) The second client PC from server with IP"192.168.1.201". 3) If first server is not available then the client will boot from second server. 4) For one NIC, set getway and for other NICs setting IP is enough. 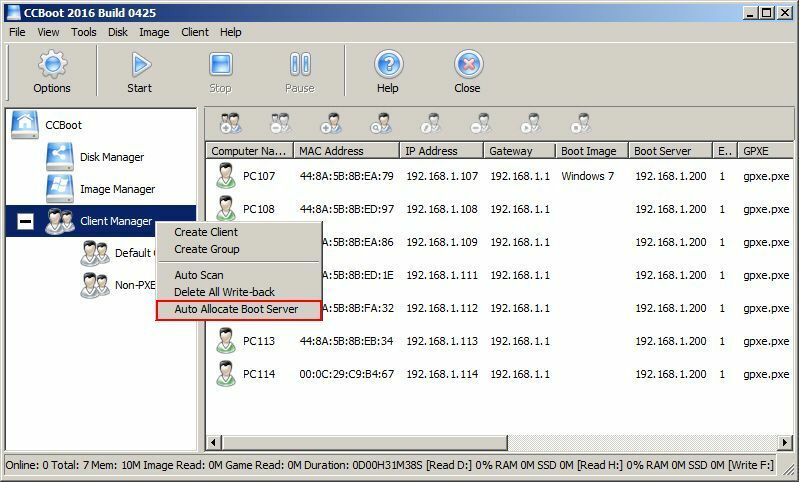 If you have more than one Writeback disk then in newer version of CCBoot the writeback disks are allocated to the client automatic hence there is not “Auto allocate Writeback Disk” option available.